You never know what weather to expect on the Baltic coast, but you can safely bet that countries in Southern Europe – Greece, Turkey, Italy or Spain – will offer hot weather. They always do. Even rain, which is difficult to come by, does not affect the heat. There is, however, a beautiful, tourist-wide, southern country, where you can enjoy thermal luxury in summer. On the Atlantic beaches of Portugal, the temperatures rarely go over 30 degrees Celsius, as a fresh breeze from the ocean softens the scorching heat. There is no other place in Europe with more beautiful beaches than the endless vastness of golden sand near Algarve. The 800 km coastline offers a lot of space to find a relaxing spot. You can be sure it won’t be crowded, but very pleasant. Blue flags on the beaches don’t mark the headquarters of the UN peacekeeping forces but are a certificate of the highest cleanliness of the area. You can also stroll on the sandy sea bottom when the ocean ebbs several hundred meters away. Some people feel in Portugal at home, for a few reasons. In Portuguese, there are many consonants pronounced like Polish “sh” or “tsh”, and the intonation is also similar to the Polish speech. Restaurants offer very similar prices – for example, in a homely eatery at the seaside, you can eat a big dinner for PLN 50-60 (USD 13-16). There is one fundamental difference, though. The Portuguese seem to know nothing about frozen fish and seafood. Products served on the plate were swimming in the ocean merely a few to a dozen hours before. The Atlantic feeds Portugal and is very generous at that. This year, there is a special reason to visit this beautiful country at the tip of Europe. 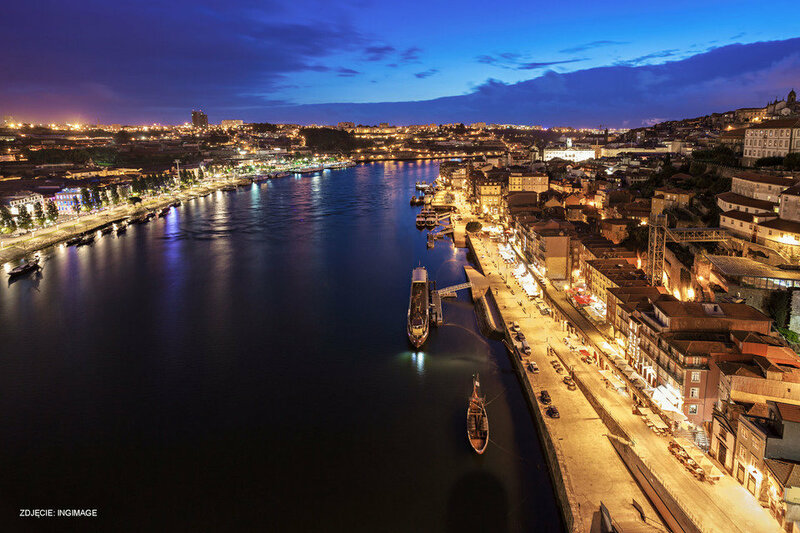 Portugal received a prestigious award World Travel Awards, naming it this year’s leading destination. It scores high also in other rankings assessing the attractiveness of cities, monuments, beaches, etc. And the rankings are right – the food is excellent, wines are cheap, and people are friendly and smile a lot. There are few such places in Europe where a foreign tourist can feel at home. It seems to me that in France locals expect tourists to keep apologizing for the fuss they make. Barcelona limited the quota of accepted luxury cruise ships. And in Portugal – you are welcomed with open arms. It’s inhabited by 10 million people, and last year it was visited by 12 million tourists. This number will increase at least by one million this year, as multiple awards act like a magnet for tourists. You can visit and get to know Lisbon, the pearl of the country, in archaic, white and yellow trams. They squeeze between old walls so close that you could stretch out your arm and touch them, and they climb up the hills surrounding the city, which offer a panoramic view of the capital. Enthusiasts can take a ride by the Royal Train (Presidential Train), used for 100 years by members of royal families, popes, and presidents. Today, it runs from and finishes back in Porto. The trip takes a whole day. The route is 200 km long, on board you are offered superb food and excellent wine. In this case, a ticket of EUR 500 does not seem too expensive.